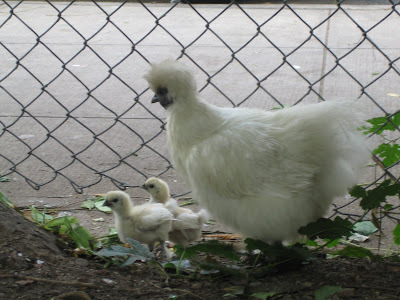 A couple of weeks ago I wrote about urban homesteading. While catching up on my back issues of Treehugger emails, I came across this post about the very same subject. In Oakland, California, they've got a place to educate wannabe 'steaders aptly named the Institute for Urban Homesteading. Well, sign me up! Oh wait, I live in NYC and don't have a patch of dirt to dig in. Just a minor problem. To round out our weekend of enjoying the great outdoors of this fair borough, my boyfriend and I joined a class called "Feasting for Free in Brooklyn" through the Brooklyn Botanic Garden (but led mainly through Prospect Park). 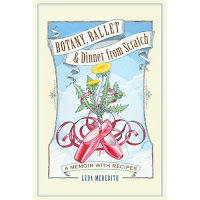 Our teacher/guide was Leda Meredith, a forager before she had even heard the term. Having Greek roots -- in Greece, foraging is not some fringe activity -- going after wild edibles is in her blood. Though I only managed to mutter something like, "I like food, I don't want to depend on the food system, bla-dee-bla." So here are some of the things I learned on the walk. 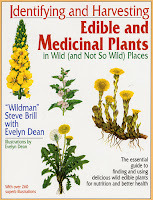 DISCLAIMER: Please consult a reputable field guide before harvesting and eating wild plants (there's a list of books below). 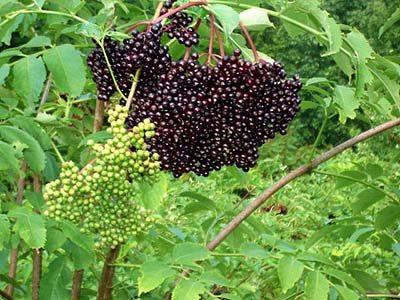 Elderberries are better when you cook 'em -- for pies, jams, and syrup. UPDATE: According to Leda, the berries above are a type of Viburnum, and while edible, these are not particularly tasty (even the birds won't eat 'em!). The small green, tender seeds have a great peppery finish (after a bit of chewing). You can use them as you would pepper, just grind 'em first. One of the cool characteristics of this plant is its triangular stem. It's also pretty fun looking with it's flowery tufts of yellow/green. At the roots of chufa are tubers that can be eaten cooked or raw and are said to be similar to water chestnuts. These babies are high in vitamin C -- you've probably seen them as an ingredient in vitamin supplements. The orange/red flower has a little tuft of stamen on top. The leaves look like those of a rose and the stem has a characteristic thorn. Rose hips can be brewed in a tea, but be sure to filter out the fuzzy bits. Not to be confused with the banana, plantago major is also known as "white man's footprint" because Native Americans claimed that everywhere a white man went he would leave one of these plants behind. (The plant was thought to have been brought here by early settlers from Europe.) Plantain is a natural anti-microbial and is useful in relieving insect bites and other skin ailments. The seeds in the conical part of the flower are the main ingredient of bulk laxatives like Metamucil. Thanks to Chase, you get $100 off Kindle when you get the new Amazon.com Rewards Visa Card. Limited time only. Here's how this works: 1) Apply online. Get a response in as little as 30 seconds. If you’re approved, we will instantly add the card to your Amazon.com account and you’ll get $30 back on your credit card statement after your purchase. 2) Add a Kindle to your cart. 3) Place your order using the Amazon.com Rewards Visa Card and enter this promo code: VISACARDAdditional restrictions apply. to get the additional $70 savings at checkout. If you're interested, click here to get one.